With its economy constantly growing, Indonesia has registered to have a steady growth at above 5 percent. The Indonesian archipelago has 18,307 islands and is known to be biggest archipelago in the world. Indonesia has abundant mineral resources, including tin, gold, natural gas, coal, nickel and copper. Besides that, minerals such as silver, bauxite and petroleum are also available in smaller quantities. All these reasons stated above make Indonesia the ideal place to start and grow a business. In this article, you will be provided with the necessary information in regards to the Indonesia Business Guide. The best thing to do in the first place would be to research on doing business in Indonesia. You would need to find out whether what you’re offering will work out well in the country. After all, there is hardly any point in offering a service or product which is not going to be popular at all. Thus, in order to succeed here, you would need to understand your potential customers on what they be willing to buy what you want to sell? You could look for local consultants who would be more than happy to help you with your groundwork research. Let them know what you plan to do and find out if this would be able to work in Singapore. At the very least, this gives you the opportunity to tweak your ideas so that it fits better in the local environment. Click here to see what are the Types of Business to be done in Indonesia. 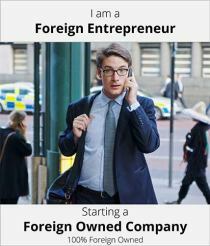 Of course you would already have a business plan in place before venturing into Singapore. Before even starting on your application, you would need to understand the overall process of doing business and the business opportunities in Indonesia. To start a company, you would need to register your business with the relevant authorities. You can actually seek the help of professional lawyers, chartered accountants or consultants to help you with this. They would be the best people to give you advice on the application process and other types of information that would be most helpful to you. The range of religions practiced in Indonesia is diverse, although around 90% of Indonesians identify themselves as being Muslim, the largest Muslim population of any country in the world. There are six religions recognised by the government – Islam, Protestantism, Catholicism, Buddhism, Hinduism and Confucianism – meaning citizens must identify themselves as belonging to one of these on official identity documents. The Islam practiced in Indonesia is predominantly of the Sunni tradition, and is more concentrated in areas including Java and Sumatra. Protestantism is more concentrated in the provinces of Papua and North Sulawesi, whilst most of the populations of the island of Flores are Roman Catholic. Buddhism is mostly practiced around Jakarta, by Chinese and some indigenous Javanese peoples. Hinduism meanwhile, known formally as Agama Hindu Dharma and followed by most of the population of Bali, differs somewhat from the Hinduism practiced in other countries in that the caste system isn’t applied. The sixth religion mentioned, Confucianism, has had a changing position in Indonesian religions, losing its official status in 1978, to then have it reinstated from 2000 onwards. A rule of thumb when doing business in Singapore is to take things slowly if you are unsure of things. Building relationships over time will hold you in good stead and help you gain a foothold among the locals. When dealing with the government or local authorities, make sure you have all the facts and information ready because they tend to be very particular about the details. There is nothing more important to Asian culture than respect and honesty so be sure to be polite to others. It is highly important to create a sustainable working relationship which can be maintained for the long run.